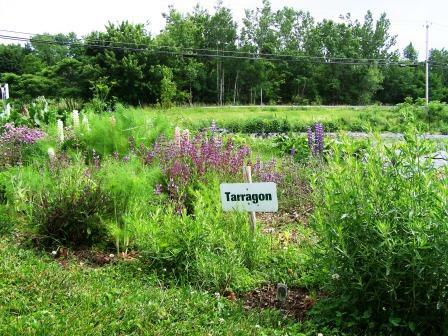 TROY – When Larry Schepici moved to Troy from Boston ten years ago, one of the first things he did was hop in his car and check out the farms in his new neighborhood. On a rural stretch of Route 7, Schepici encountered Joanne Tarbox and Bob Haber, who both run family farms. 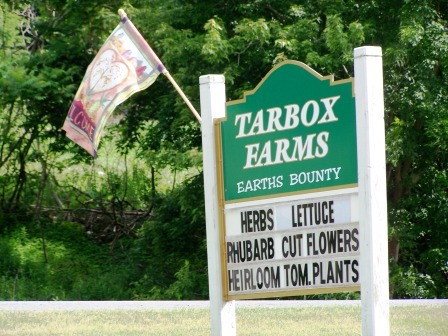 The first encounter that Tarbox had with Chef Larry was when he stopped by her farm stand, looking for Swiss Chard. “I handed him a bunch with large rumpled leaves, and he said, ‘No, I want it this big,’ holding his hands about five inches apart.” she said. “I found some baby Swiss Chard for him, and he’s been buying from me ever since.” Tarbox Farm now dedicates about eighty percent of its production to Schepici’s restaurants. Bob Haber still remembers the day Schepici showed up and asked for a walking tour of his farm. “By the time I showed him some of the bizarre things I was growing (such as the fuzzless Arctic Kiwi from Siberia), Larry was ecstatic,” recalled Haber. The exoticness and the unforgettably sweet flavor of the fruit was just the caliber of ingredient he was looking to gild the menu of Tosca at 200 Broadway. 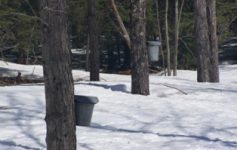 The two began poring over seed catalogs and selecting items to star on Tosca’s menu for the following year – something that has become a tradition for Schepici each winter. Some of his custom-grown favorites include baby yellow carrots, candy-striped beets, and purple asparagus. “He’s a very adventurous chef,” said Haber. 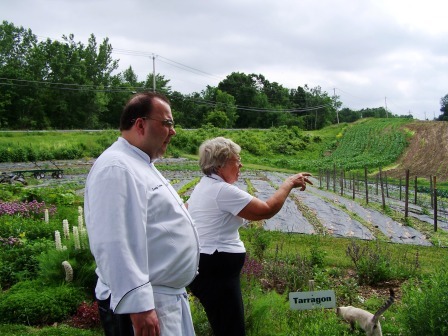 For years, Tosca has been a perennial award winner for its innovative menu and commitment to using local organic food. Now, Schepici has taken his ardor for local food a step further by implementing a chef demonstration pavilion at the Troy Farmers Market on Saturdays. 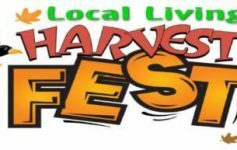 The event is designed to promote various uses of local produce in step-by-step instructionals from area chefs. “We’ll be focusing on products that don’t get used as much, like rutabaga, white radishes, kohlrabi, and celeriac,” said Schepici. The demonstrations feature ideas for hot and cold preparation, tastings, and a recipe. Schepici started the series last month with four consecutive demonstrations. He said that future events will include Chris Tanner from Schenectady County Community College, Paul Dolan from Capital Region BOCES, and chefs Dale Miller, John Mozzarella. Schepici said that keeping a menu that’s fresh, creative, and ever-evolving depends implicitly on local farmers. 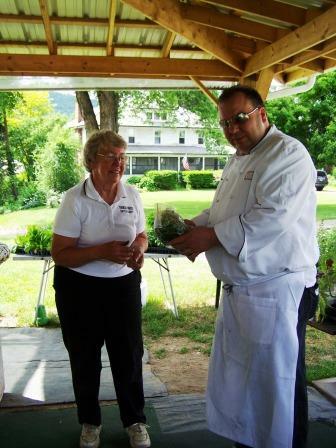 “When a waiter goes to a table and tells customers about elk tenderloin from Creek’s Edge Elk Farm near Canajoharie, and fresh ricotta from Dancing Ewe Farm in Granville, they love it. People want to support local farms. It’s not a hard sell. Schepici said that in the last decade he has seen support grow exponentially for Albany-area farmers. 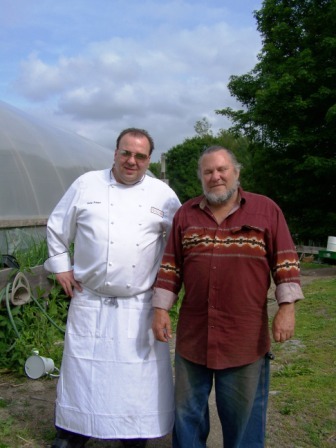 One improvement Chef Larry would like to see is more accessible delivery from farm to restaurant. 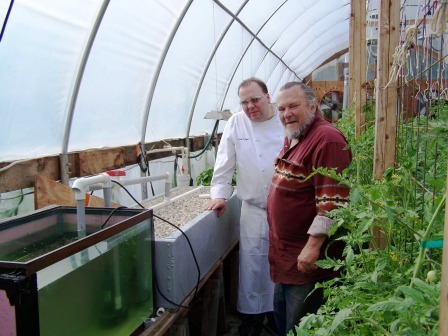 It seems that Schepici’s ideas for propagating local food keep churning. He recently opened Tosca, Etc. next to his restaurant, which offers fresh, organic meals to go for $15 and under. He has rented nearby space to renowned baker Chris Snye of The Placid Baker in Westport who will bake and sell organic breads. 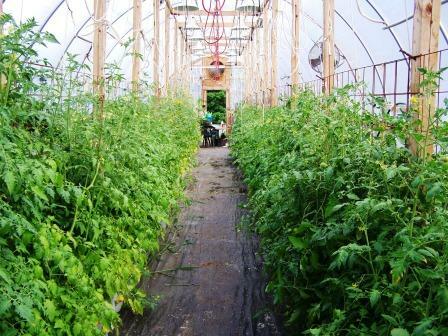 Lining the picture windows of Tosca are herb beds framed by barrels of ripening San Marzano tomatoes.